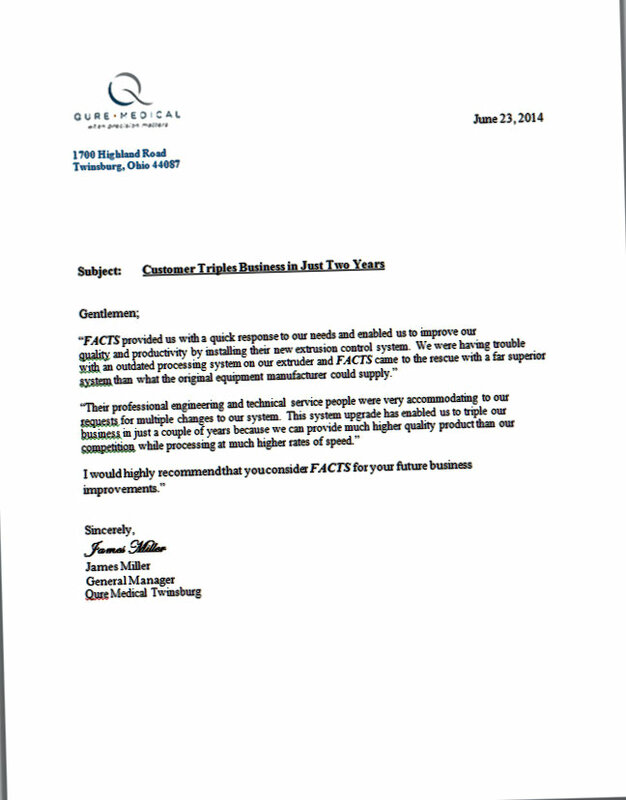 Customer Triples Business - FACTS Inc.
Jim Miller, General Manager at Qure Medical, contracted FACTS to supply a Total Extrusion Control (TEC) System for one of their existing silicone tube production lines. 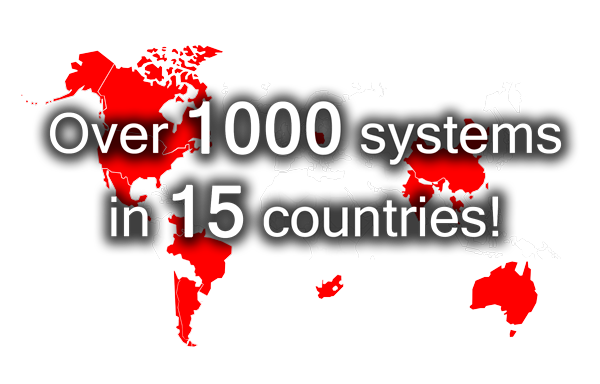 The FACTS TEC system replaced an existing control system while all of the extruder and line equipment was retained. The existing electrical enclosures, drives and electrical power equipment were also re-used. 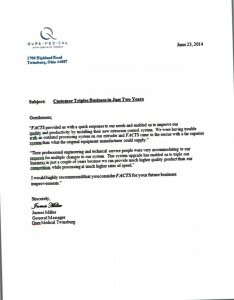 The FACTS TEC system allows Qure to produce tubing at higher rates and with higher quality. Read what Jim has to say.